UK Defence Secretary Liam Fox said Gaddafi could be a "legitimate target"
In Britain, there appears to be inconsistency about the goals the coalition is pursuing in Libya. Prime Minister David Cameron says that a regime change is not on the table, but other members of his government are saying the opposite. 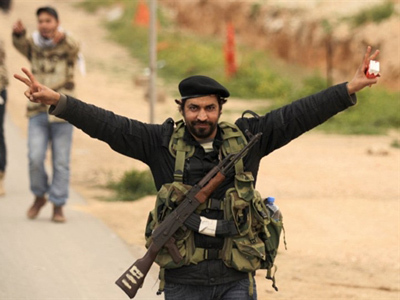 ­According to the UK Defence and Foreign Secretaries, Liam Fox and William Hague, there is a possibility that troops could target Colonel Gaddafi. 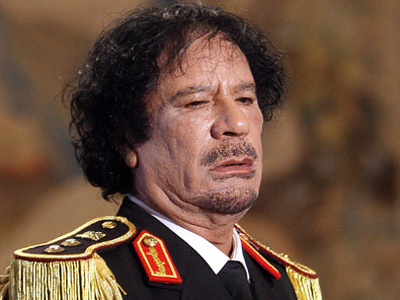 Fox said on Monday that Gaddafi could be a "legitimate target", and Hague left that possibility wide open in his interview. 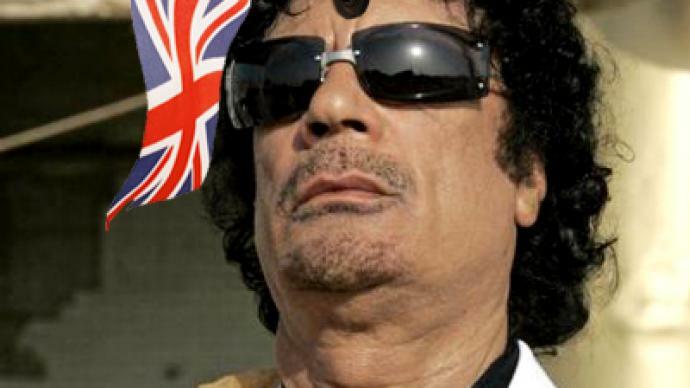 It permits the use of the no-fly zone to protect civilians against Gaddafi’s forces, and the UK government, both in front and behind the scenes, is arguing that Gaddafi himself could be construed as a threat to the civilian population, and therefore, it would be legal to target him. On the other side is the British Army, where the Chief of the Defence staff, who, when asked if he thought it was permitted under the terms of the resolution to target Gaddafi personally, he unequivocally said “absolutely not”, and said that he did not want to discuss it any further. Signs of international division on the issue are on the surface as well. 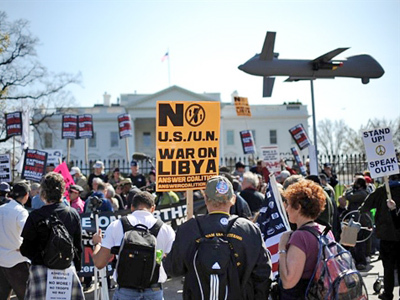 Senior people in Washington also say that direct strikes against Gaddafi would not be permitted under the terms of the UN Security Council resolution. Such discord between the officials in countries comprising the coalition forces shows the lack of planning and raises many questions. Why were those issues not discussed before the campaign kicked off? And if they were, does this mean that the UN resolution is now open to playing with words and interpretation? Who is in charge of the mission? 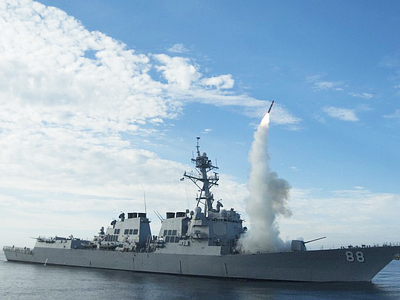 In the next few days the US wants to give over the control of this mission to someone else. Will it be NATO or a Britain-France alliance? And if so, what will be the goals of the campaign? The issue of toppling a regime is always sensitive. 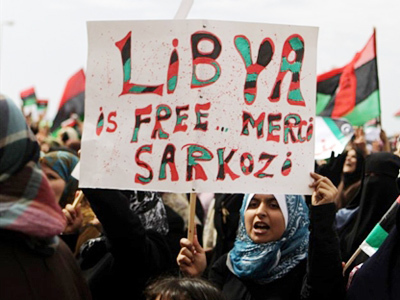 In the case of Libya, bringing it on the table could, perhaps, alienate Arab supporters of the military intervention. The Arab League is already wavering its support because of the ferocity of the airstrikes. It also raises the specter of regime changes – something that brings back the shades of the war in Iraq, which many people opposed both in the UK and in the Arab world. British people are unlikely to tolerate another Iraq-like situation, and therefore, many people in the country’s establishment are sticking religiously to the terms of the UN Security Council resolution to avoid this open-ended commitment to having military intervention in the region. On the other hand, the intervention enjoys a lot of support from inside the British government, too – the intervention that people on the streets seem to feel very differently about, various public opinion surveyors report. 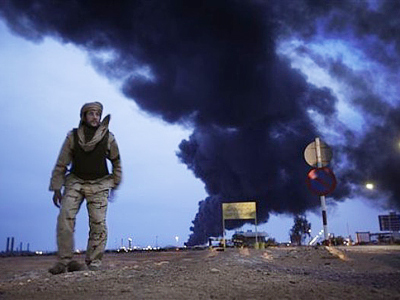 According to the most recent of them, some 53 per cent think that it is unacceptable for British troops to risk their lives or injury in Libya.